NYC Educator: What's Going On? 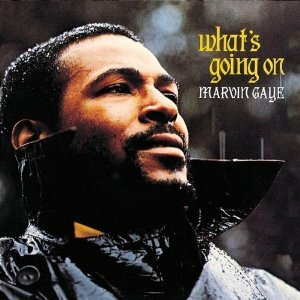 Marvin Gaye asked, but no one's answered yet. How on earth have public employees become the bad guys? How have we, one of the last bastions of the middle class, become the scourge of society? It's all about money, actually. The government hasn't got enough. Municipalities are struggling. Why? You need look no further than the President of the United States, who, in these tough times, extended tax cuts to the wealthiest Americans. Chuck Shumer said let's make the cutoff 1 million per year, so as not to inconvenience those impoverished Americans scraping by on $250,000 per annum. Even that was not good enough, and projected losses in tax revenue are astronomical. So someone has to pay. We’d been discussing taxes on the air and the fact that Denmark has an average 52 percent income-tax rate. I asked him why people didn’t revolt at such high taxes, and he smiled and pointed out to me that the average Dane is very well paid, with a minimum wage that equals roughly $18 per hour. Moreover, what Danes get for their taxes (that we don’t) is a free college education and free health care, not to mention four weeks of paid vacation each year and notoriety as the happiest nation on earth, according to a major study done by the University of Leicester in the United Kingdom. Some things are worth paying for, but here, we're all cowboys. We ride around, watch Fox News, and don't bother checking their veracity. But as cowboys, it's every man for himself. Unless you're wealthy. Then Barack Obama will step up and say you get a break. NY Governor Andrew Cuomo will do the same, and so will our esteemed Mayor Bloomberg. Why would the richest man in New York City raise taxes on himself when he can simply attack unions? There's a great book called What's the Matter with Kansas? It paints the image of the poor, the downtrodden, all marching to the rich man's house with torches and pitchforks, declaring, "We're here to lower your taxes!" That about sums up what's happening. Make no mistake, the current attack on teachers and unions is part and parcel of an overall attack on the middle class. How do we get the word out to snookered Americans who get all their news from MSM?